If your vehicle is experiencing fuel system problems or needs a new fuel pump, hose replacement or fuel filter, bring it to Fountaindale Auto Center in Frederick or Middletown, Maryland. 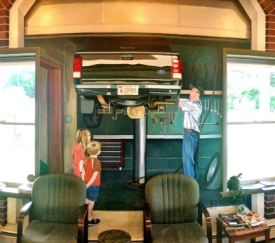 Fountaindale Auto Center has served Frederick County, Maryland since 1968. Fountaindale Auto Center, with its industry leading 2 year, unlimited mileage warranty, continuous technician training and superior customer service, wants to be your auto care center for many years to come.